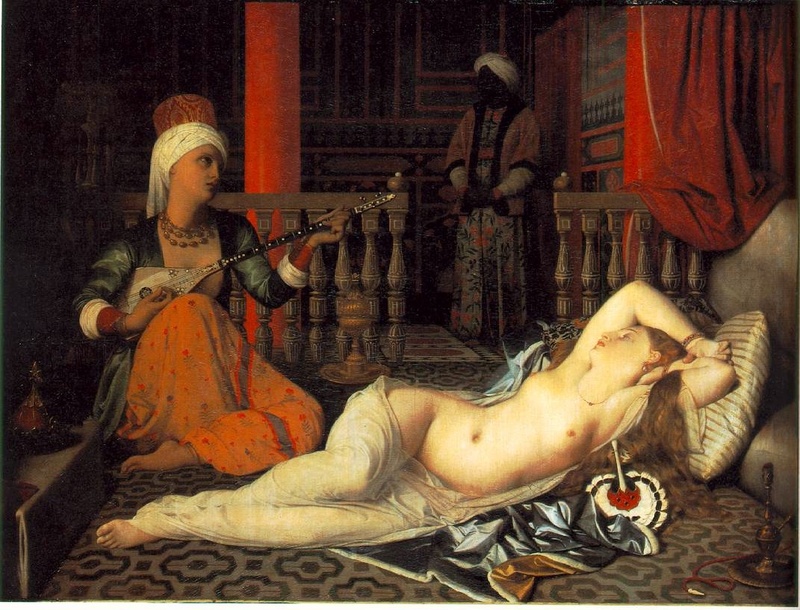 Delacroix were both part of this exploration of the Orient. Although inspired by the Orient in different ways, and although their stylistic approaches differed greatly, their chosen Oriental subjects were sometimes identical. 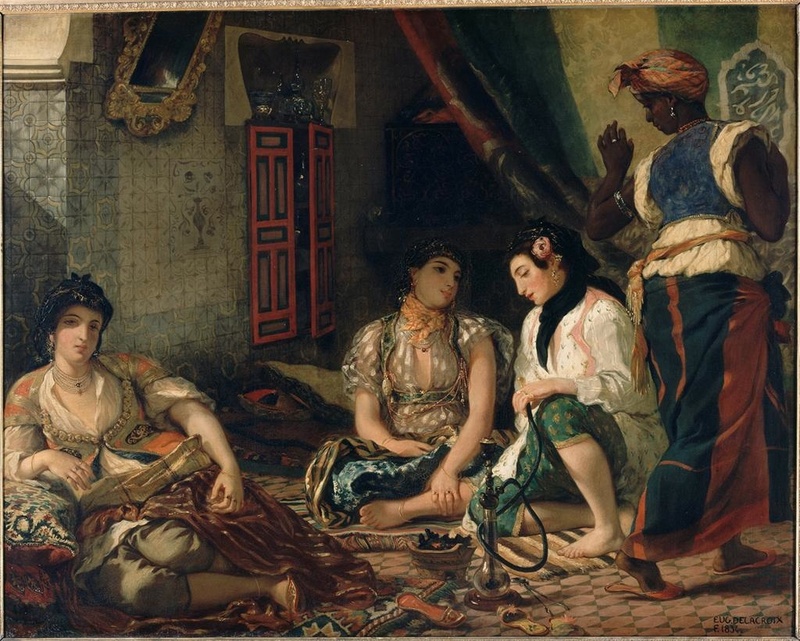 Delacroix’s attraction to Orientalism began in the 1820’s during the Greek-Turkish war. At this same time he befriended fellow painter Jules-Robert Auguste. 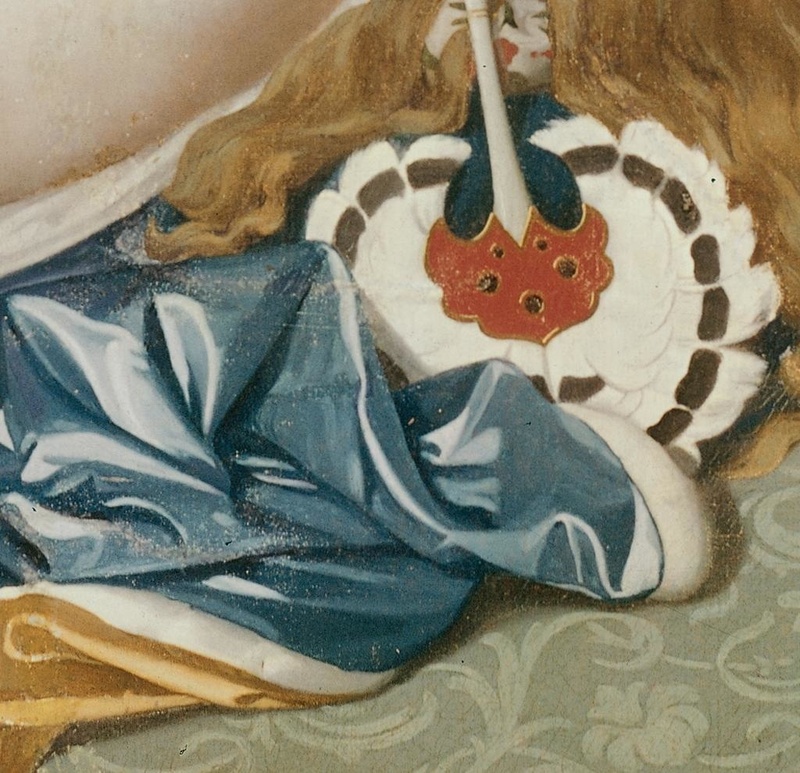 Auguste, who was a number of years older than Delacroix, had traveled to Northern Africa and the Middle East where he acquired several costumes and accessories. 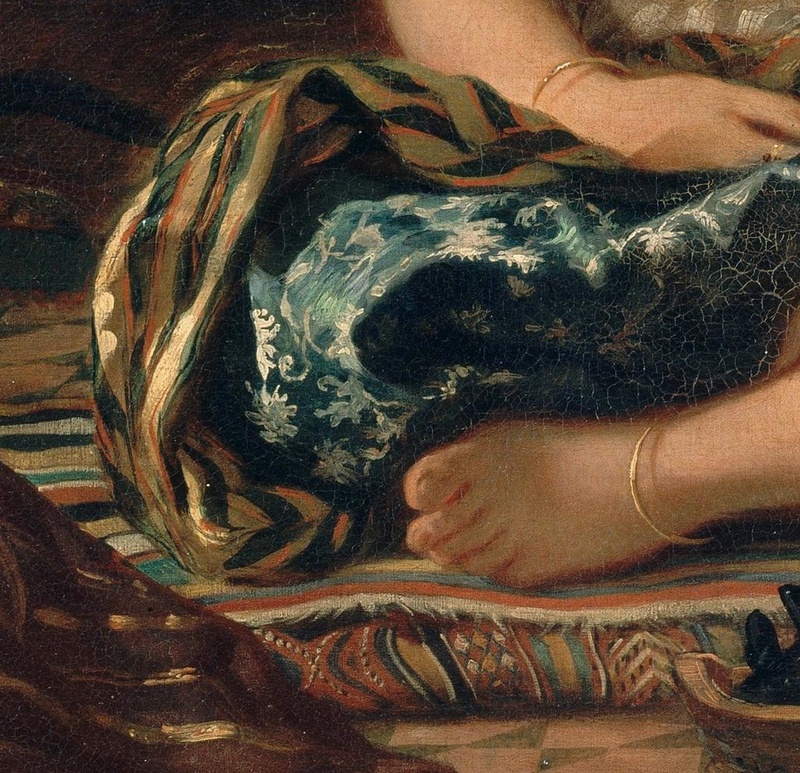 It was with these clothes draped over models that Auguste taught Delacroix different aspects of oriental aesthetics. Delacroix made countless studies of these vibrant costumes, many times imagining them on both Greek and Turkish soldiers as they battled. It was not until the age of thirty-three, after Delacroix had become well established in the Parisian art world, that he saw Northern Africa and the Middle East with his own eyes. In 1832 he was a last minute addition to a diplomatic mission sent by Louis Philippe to establish good relations with the Sultan of Morocco. The colors and cultures Delacroix would experience on this journey would influence his work for the rest of his life.